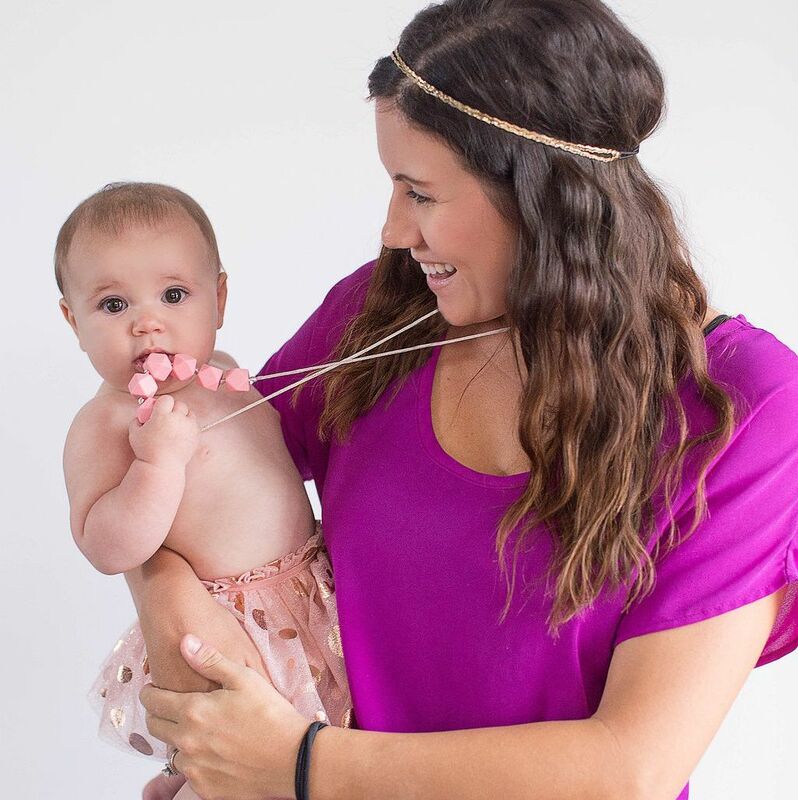 Geo Teething Necklace in Petal Pink | Fashion Forward Teething Jewelry for Trendy Moms at SugarBabies Boutique! 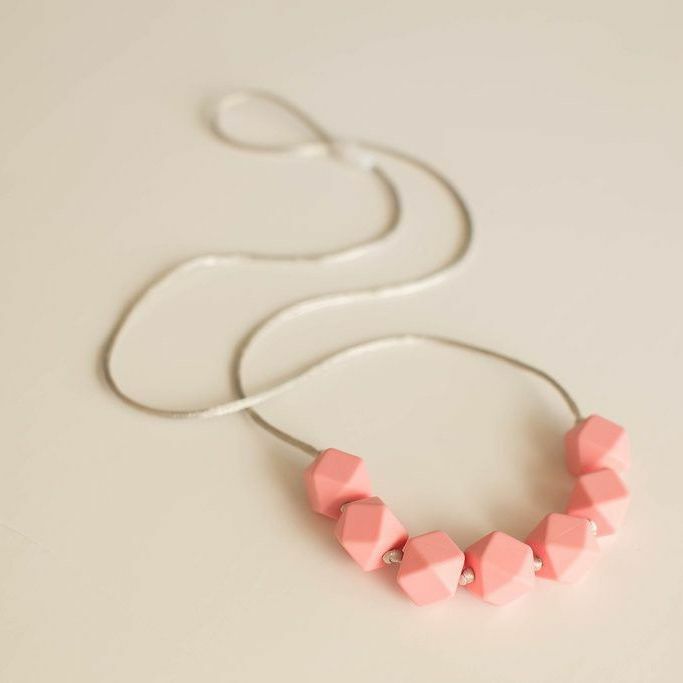 Geo Little Teether Necklace has seven geometric beads that are sure to stimulate the little fingers and gums of babies. These necklaces are fashion forward, wear with or without a baby on your hip! The Geo Little Teether is also super cute when layered (pair your two favorites)! 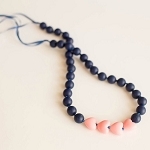 Little Teether teething beads are super stylish, affordable, and a staple to any mama’s wardrobe. 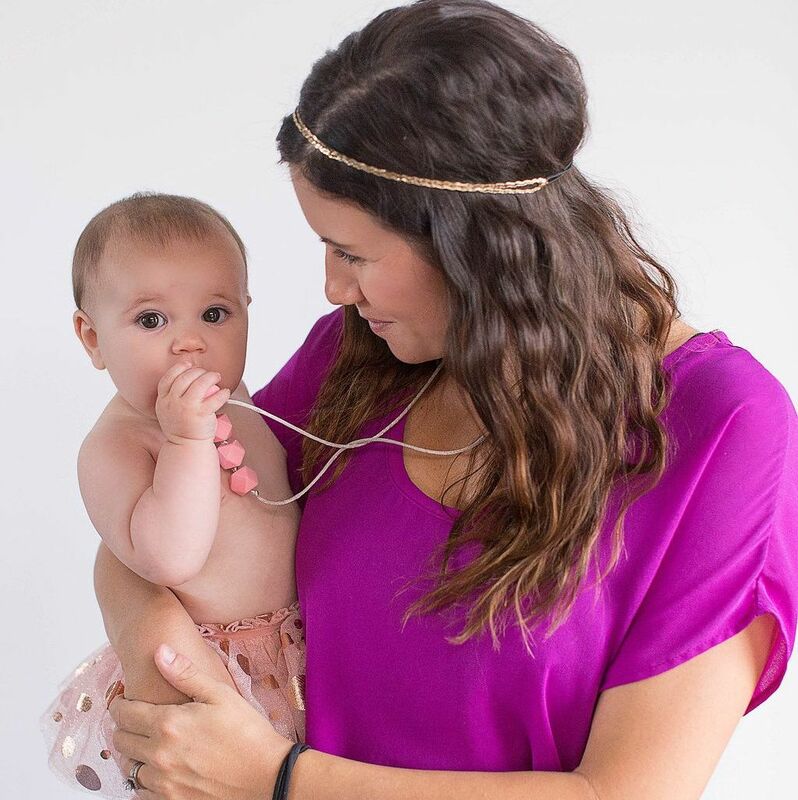 These fashionable chewable jewelry cater to teething babies, breastfeeding moms, or any parent that needs a quiet distraction when holding a busy baby. Our non-toxic chewable beads are tested twice, once by manufacturer, and once by a 3rd party USA testing facility. Food-grade BPA-free Free of phthalates, lead, cadmium, and heavy metals. Remember, these are only to be worn by adults. Babies are to teeth on them under direct supervision only.